Step back in time to when mountain men and American Indians roamed the recently acquired Louisiana Purchase territory. A time when the success of Lewis and Clark’s “Corps of Discovery” had others clamoring to follow in their footsteps, anxious to explore the unknown. You can relive this time and more at the 15th Annual Fall River Rendezvous at the Fredonia Bay area of Fall River State Park. The days’ reenactments will take place on Saturday, Sept. 30 from 9 a.m. to 6 p.m. and visitors of all ages are invited to attend. 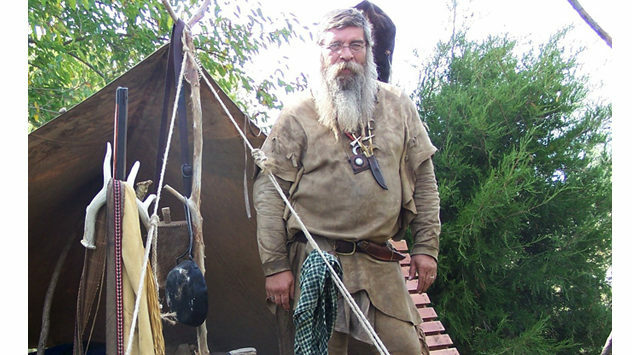 The one-day event aims to interpret the 1800s to 1840s with a traditional rendezvous when Native Americans and mountain men camped together to trade for supplies and furs. Activities will include exploring Native American and mountain men encampments, interacting with historical traders, a black powder shoot, tomahawk throw, skillet throw for ladies, and a kids’ gold rush. For more information, contact park manager Kimberly Jones at (620) 637-2213. Find more information about Fall River State Park at KSOutdoors.com.